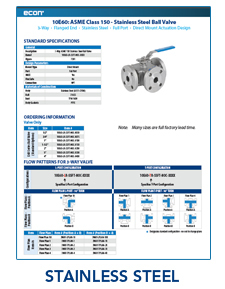 The Econ® 10E60 Series is a three-way, flanged end ball valve with an ISO 5211 compliant direct mount actuation pad. 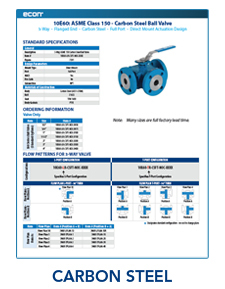 The 10E60 is available in sizes ranging from ¼” to 4” with ASME Class 150 flanges. Valve bodies are made of either CF8M or WCB with 316SS trim and TFM 1600 seats.